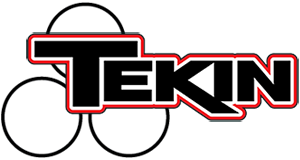 Tekin drivers find the top spots at the 31st Annual US Indoor Championships! – Tekin – Smaller, Smarter, Faster! Tekin drivers find the top spots at the 31st Annual US Indoor Championships! Held over the holiday “weekend” of November 25-28th drivers from all over the US converge to Ohio for this annual event. Mike Haynes wins Mod TC and finishes 2nd in 17.5 TC open esc with his Hotbodies TCX. Andrew Knaap Tq’s and wins 1/12 GTP Stock(CRC) followed by teammates Larry Fairtrace 2nd(TOP), Kenny Lambert in 3rd(CRC), and Mark Calandra in 4th(CRC). Mike Haynes placed 2nd in 1/12 13.5 GTP(Speedmerchant) followed by teammates Kenny Lambert(CRC) 4th , Andew Knaap in 7th(CRC), and Jason Schreffler(TOP) in 9th. Wayne Gerber Tq’d and won Masters 1/12 GTP in his CRC car. The entire team was using the Tekin RS Pro with Vegas software supported with the Howtire USB device. « Reo Raceway Cash Race has Tekin drivers getting paid!